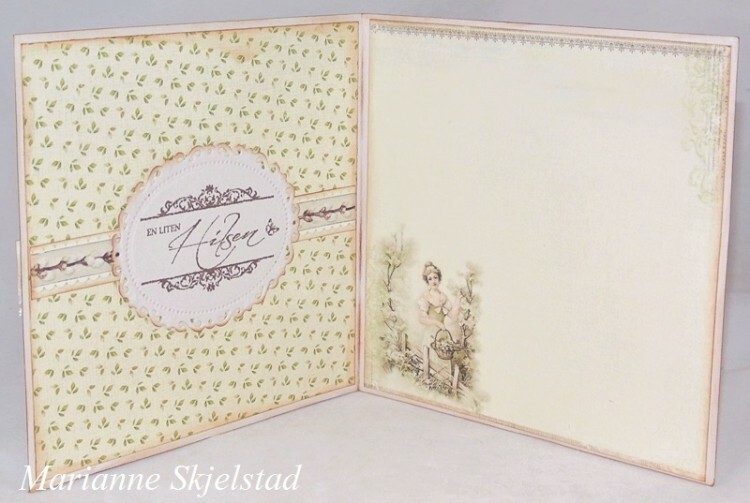 For this card I have used both the large and the small papers from the A Day in May collection. The background is made from two different 6″ sheets. The images and patterns are so decorative that I have chosen not to use as much decorations and embellishments as I use to.